This is easy to use, easy to apply and quick drying (1-2 minutes a coat). 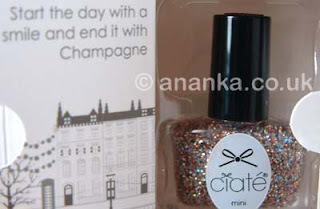 It's a really nice glitter with holo glitters too! I did want to show this solo and it does look really fabby. I can imagine it look really good over dark colours as well. Lasted really well. It really is a very nice glitter - and yes, it would be great over a dark color I'm sure! 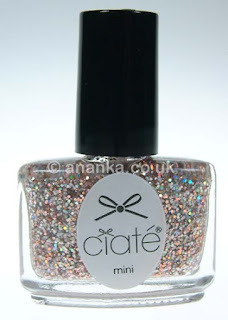 Really glittery...so nice for the holidays!